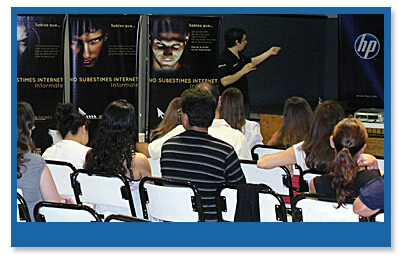 Between November 9th and November 12th, at 4 schools located at the cities of Santa Fe and Paraná there were dictated talks to parents, professionals and teachers of these four establishments. Monday 9th, School of the Club Atlético Estudiantes of Paraná. 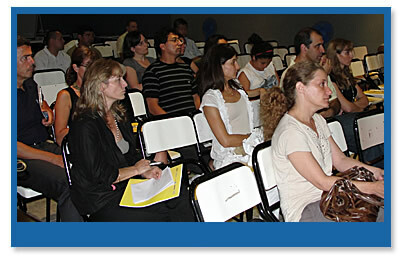 Tuesday 10th, San Joaquin School of Paraná. Wednesday 11th, LaSalle Jobson School of the city of Santa Fe. Thursday 12, Michelangelo Institute of the city of Paraná.cuela del Club Atlético Estudiantes de Paraná. 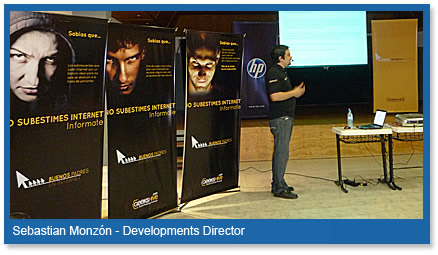 These events were performed owing to the active participation of certified Geeks from the zone and of course to the means provided by those who support this development: Hewlett Packard main sponsor of the program Good Parents on the Internet and trademarks such as IBM, Novatech, Panda, TP Link and Linksys have also supported the community. The level of attendance of parents to take part in the talks was very high and unleashed a more than important interest to the issues addressed. Consistent with what the program transmits, each participant asseverated to be completely identified with the problems discussed. In this respect, one of the assistants said: “all of the risks mentioned are the fears I have every day”. The great interest in internalization and capacitating was a common feeling among the parents, since this kind of topics creates a more and more extended gap between the boy and the father. The program Good Parent on the Internet gained much importance in the media. The schools that had already participated do not cease receiving the parental gratitude to bring them in contact with this program, since many of them were ignorant of these problems and mainly of the reality showed by the worldwide statistics. There are already proposals of some of these institutions to continue a second stage where it will be possible to advanced even more with the program during the next school seasons. Of the schools that didn’t get to take part in 2009, there are already more than 15 schools registered schools for the following agenda at the beginning of the school season in 2010.